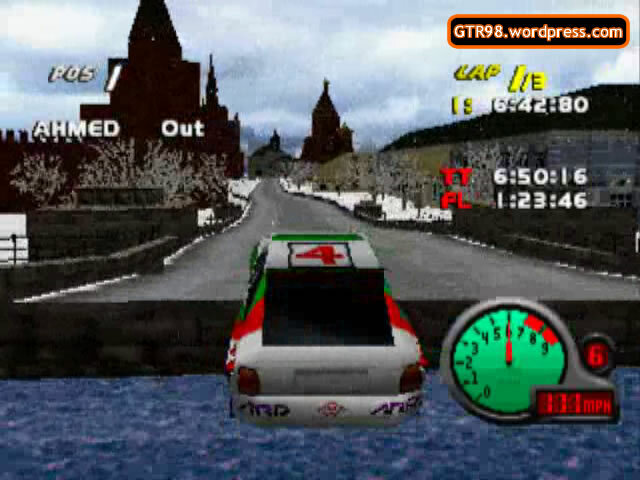 Moscow 7 uses Rally cars to maneuver the six-mile Ring Road. 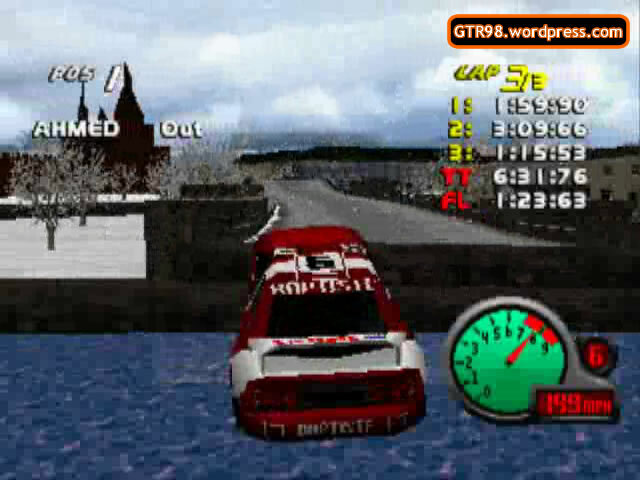 As the road is extremely icy, the player is prone to making mistakes at many unexpected parts of the track. Casualties are not so common, however, as the only game-ending areas take place at the Twin Deadly Ramps, which are located near the end of each lap. 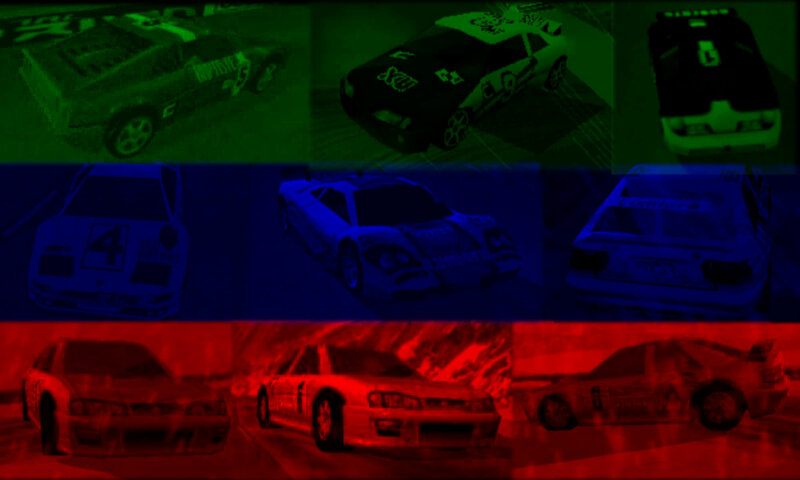 Unlike Moscow 6, no AI opponent will change speeds when entering a new lap, but most AI will brake around corners, with the top contenders slowing not as much. 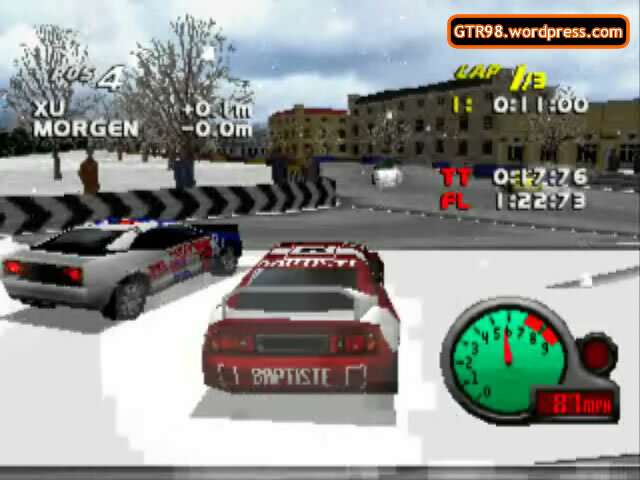 AI Baptiste‘s tendency to brake often makes him the equivalent of AI Ivanov of Moscow 6. If the human player seeks a challenge, they are welcome to knock their opponents off the Deadly Ramps. However, a Full Rampage is not a likely outcome, as the Ramps are too wide for lethal contact. An Underdog Challenge can be attempted in this level, featuring Underdog AI Baptiste. AI Morgen has usually less no chance whatsoever to clear the second Deadly Ramp, so if players are curious, they can also try helping Morgen by pushing him across onto Lap 2. Most cars have a top speed of 150 mph. Ivanov and Xu have their top speeds lowered to 125 and 140 mph. Like Moscow 6, Accuracy is based on turn speed. Baptiste is ranked poorly for slowing too much around corners.